Perimeter walls are a feature of residential and commercial property development in South Africa. Their function is primarily security and aesthetic appeal. To differentiate walls and improve appearance wall and column cappings and decorative wall mouldings are common place. These traditionally have been made from brick, specialised plaster techniques and precast concrete. The above methods are time consuming, often expensive and labour intensive. Expanded polystyrene (EPS) offers a viable alternative for these components as it is lightweight, can be cut or moulded into any shape and can be readily protected by propriety EPS plaster systems. Polycap cappings and mouldings are a range of EPS products that are made to order to suit the individual requirements of the customer. Sizes and profile requirements are submitted to ABP Building Products who then cut or mould to shape and size. Products can be supplied unplastered with the plaster supplied separately for application on site or preplastered with a 2-3mm EPS plaster coating. Wall capping and moulding lengths can be supplied up to a maximum length of 3 metres but are most often cut to coincide with the spacing between wall expansion joints. Polycap products are supplied with an EPS adhesive to glue the products to the wall surface. 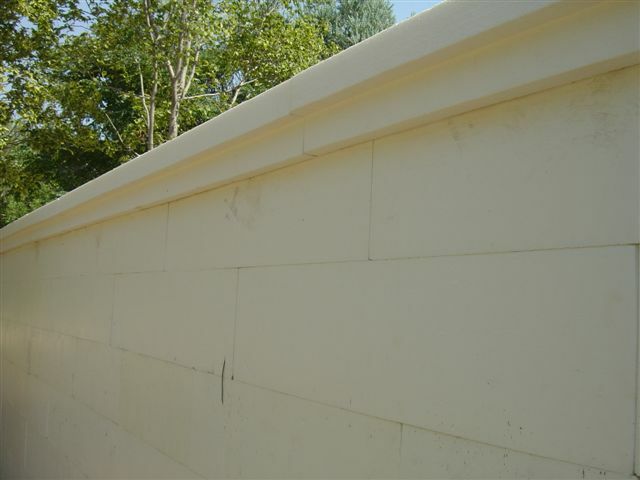 Polycap can also be secured with a conventional plaster mix. Polycap joints are finished with either a silicone sealer or a plastered V joint. 1) Decide the profile and dimensions of the capping or moulding required. 2) Provide a detailed drawing with dimensions to ABP Building Products. Include the dimensions of the wall or column to be capped. 3) ABP will quote to meet the specified requirement. 4) Once supplied place the moulding or capping in position securing the PolyCap EPS product by using either Polyplast or PolyGlue. 5) If supplied unplastered apply a 2-3 mm thickness of Polyplast plaster to the capping or moulding. 6) Joints in mouldings can be covered or jointed with Polyplast or a silicone sealer. 7) If required paint the Polycap product with a quality acrylic paint. As EPS is a lightweight material components can be easily positioned with minimal effort and labour. As the Polycap products are precision cut or moulded in factory the appearance of the finished product is uniform and not subject to human error. Any shape, size and length can be cut or moulded. EPS is impermeable to water and when used as a wall or column capping will prevent water seeping into the tops of walls and columns. 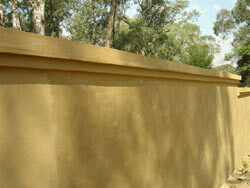 EPS will not rot or degrade over time giving permanency to all wall features and decoration. material cost and significantly reduce the labour involved in installation. Density: 16-24 gm/lt depending on product.